The Star-Touched Queen was one of my most anticipated reads of 2016. It promised a rich and imaginative world, fascinating characters, magic and romance. 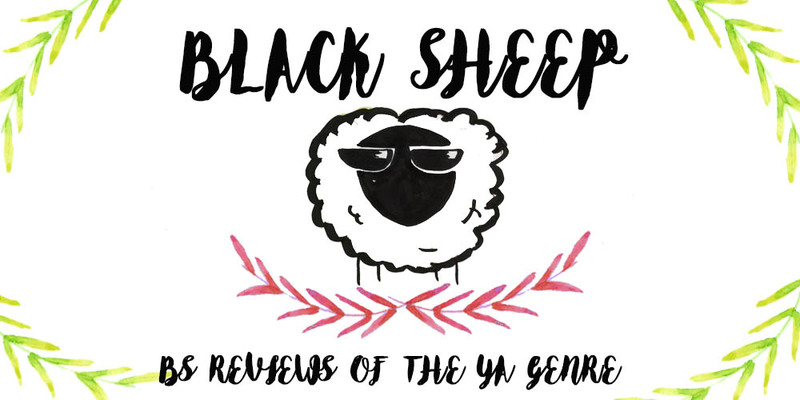 The blurb alone was enough to grab my attention, just looking at reincarnated lives got me and I was very much looking forward to its publication. However, the story delivered what I wanted… but it also fell a bit flat for me. There’s no doubt that the author has a wonderful imagination, I love the places she created such as the Night Bazaar (you have no idea how those jewel-like fruit trees gave me life, I’ve dreamed about things like that since I was a kid), the crystal gardens, even Akaran itself. But when it comes to relying those images to the readers is when things begin to get a bit messy for me. As a reader I saw those places, but they weren’t fully explained or fleshed out. As a result everything felt more like an after though and the world-building suffered. Aram would take Maya from place to place and she would say “Oh look, magical creatures I didn’t know were real! Ok” “Oh, magical garden with wishes? Ok”. The story is told from Maya’s point of view and she seemed to be a little all over the place, she paid important moments not much attention, but fixated on the little details. I could see that the author was trying to go somewhere with her and the story, but I felt that she wasn’t sure of how to do it. She reacted to magic as if it were something ordinary instead of new and wonderful. Amar would speak to her in a cryptically manner describing past lives in which they met, and always saying how he had been waiting for her even though she never met her until that same day, and she doesn’t think that’s the least bit weird. This was a story in which a secret was held from the main character and in consequence, from the reader as well. When it comes to plots like these, I see authors taking different routes; sometimes the character is given no warning or advice, and so we must travel this journey with them, unsure of every step and whether they have made a mistake or not. 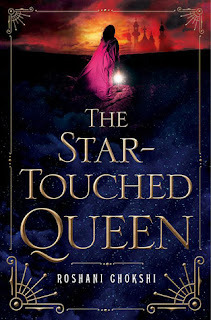 In the case of The Star-Touched Queen, we had heavy hints from the summary and the narration itself which left clues along the way for Maya and the readers to pick up. I knew as much as Maya, and I could guess what was happening pretty easily (at least at part of it, of course) but the girl had no idea! She would be confronted with all this evidence and… ignored it? She didn’t even think about it, or reason it. It was as if she had never come across it. Maya wants to know the secrets of her new Kingdom and husband, she tries the different doors and tries to unveil their secrets but when she comes across something important she lets it go, dragging the story and the revelation even more. It became frustrating when you knew she had to go left, and she went right for no reason at all. The story wants to show Maya as independent and strong by having her refusing to conform to society, not trusting her new husband and breaking the rules. But more often than not, she made dumb decisions that got her into trouble and could have easily been avoided if she had just listened and thought things trough, instead of screaming every time she felt like she was being suffocated. I understood the predicament she was in, I really did. But when you’re told not to pet the freaking shark, you don’t go and stick your hand into its mouth just because you were told not to. As the story developed, I did grow to like her and understand what was happening as the secrets were unveiled, but it didn’t make the beginning any less frustrating. As for the romance, I liked the chemistry between Maya and Amar although their relationship did grow very fast, almost insta-love like. It is explained when the secrets are unveiled, but it was still too rushed like the rest of the narration. In the end, I did like the story and the romance even though I did have issues with both. The author has a lot of imagination, but it felt like she treated the story a bit too lightly, she touched some subjects, her characters and the world but didn’t expand on them as much as I would’ve liked. And it’s a shame, because it was a very good story and could have been even better. This is a stand-alone though (something I wasn’t aware of until I finished reading :/ ) but there’s a novella detailing the life of another character and I’m really looking forward to it!